Hrmm, one of my favorite HTML text editors, FCKEditor, got re-branded. 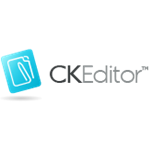 It’s now known as CKEditor. Wonder why they changed the name :)? On a side note, they have an impressive licensing scheme. For commercial usage, they have the CKSource Closed Distribution License.